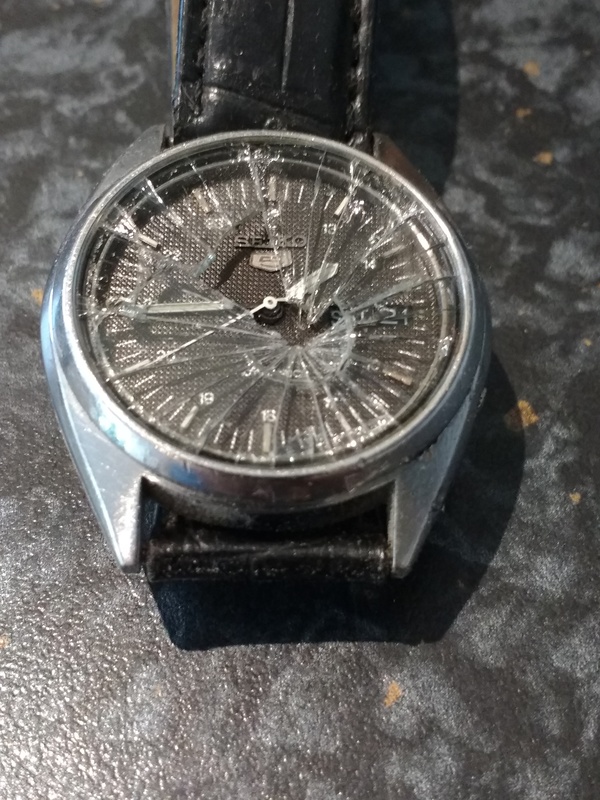 On May 21st, I broke my watch. I caught the face against the corner edge of my desk as I was hoovering, although I didn’t hit it that hard, the angle of the impact was enough to smash the face. I’ve only worn a watch on one other occasion since (and then it took me several hours to notice that it was still running on GMT and not BST). The once white band on my wrist has pretty much disappeared and I’m not sure I notice that I don’t have a watch on. When someone stops and asks me for the time, I still go to look at my wrist before checking myself and getting my phone out of my pocket to check the time on that. This has pretty much been how I’ve kept track of time when I’ve needed to since, not that I’ve really felt the need beyond the basics of making sure I’m where I need to be, when I need to be there by. This just reminds me how much my routine has changed in the last 12 months. I no longer have a regular alarm clock, instead preferring to run my day around what work I have on and other calls on my time. I still do use an alarm if I have a morning appointment and have to be somewhere at a particular time but otherwise I rise pretty consistently at the same time most days. Walk the dogs, visit the allotment with them if I need to – either to harvest food, or water the plants – and then start work. Work varies depending on how busy I am (not very at the moment), if there is no work for clients I’ll be working on something else, mostly my writing. Stop with lunch with Ann, and catch up on any personal things and my Words with Friends games. Then depending on workload, carry on into the afternoon. I’ll take an afternoon walk with the dogs, normally this will be a longer walk and if I remember I’ll take my camera with me (I often forget, and use the one on my phone). I’ll then come back and finish any work that’s outstanding and then prepare supper. We might watch a little TV in the evening, depending on what’s on, although with Wimbledon, Euro2016 and the Olympics, there has been an awful lot of sport on recently, and so we’ve been catching up on DVDs or things that have been recorded long ago and not watched, as we’re not great sports fans. Then to bed and read. I do read at other times during the day depending on what else I’m doing and often if I’m travelling by train or bus (which I have done quite a bit of in the last few months). I also keep a handwritten journal, and will update that throughout the day if there are things to record – it’s mostly a nature / allotment journal, so I don’t write in it everyday. Just over a year ago, my day was dictated much more by others. I think it requires more self-discipline now than before, but it does feel much more like my day. This entry was posted in Life and tagged Life, redundancy, routine, time. Bookmark the permalink. And just think of the personal freedom this new routine provides.